Delivering management solutions for older adults and their carers such as: Mandated education and training for LTC and Retirement compliance. The Ashby Memory Method™ - Cognitive retention therapy for Dementia and Alzheimer's as well as the Accredited Senior Agent™ and MASTER-ASA™ programs for REALTORS® across Canada. “The power to do is greater than the power to talk. Today make someone feel special, important or worthy of who they once were. As pioneers in the hands-on delivery of Training, People Centred Care and Practical programs for Dementia and Alzheimer’s. Pivotal Aging Innovations offers a central point of innovative solutions for caregiving organizations, industry professionals and family caregivers. Our team of professionals comes from several areas of influence in Elder Care, including Nursing, Education, Government, Law, Senior Transitions and the Medical community, with years of experience with Long Term Care and Retirement communities. Denise Bedard Founder Pivotal Aging Innovations Inc.
Denise and Paul were able to quickly connect on many levels regarding the Senior care market and began to forge a union offered as Pivotal Aging Innovations Inc. As a partner, Paul brings many years of experience in business and Senior Lifestyles. Paul is Canada’s ﬁrst Master Accredited Senior Agent (MASTER ASA) focused on seniors’ real estate and life transitions. During his tenure with Re/Max, Paul has achieved many levels of success such as the 200% Club, the Three Million Dollar Club, and recognition as a Re/Max Hall of Fame member. Paul was instrumental in the development of REALTORS® within the Canadian seniors’ real estate market, known as ‘MASTER-Accredited Senior Agents’, and quickly began sharing the knowledge he had acquired. Working with over 55 companies and individuals, Paul is constantly searching for improved solutions for seniors. Paul has often been a pioneer in bringing these solutions to market, including a retirement community liaison service and the LifeStyle55Network. Although Boomers, Zoomers and Seniors are faced with unique transition challenges, the process requires a leader to manage the daunting tasks such as: *Probate *Dissolution of Real Estate, content and personal items *Scheduling of services *Co-ordination of Legal and Financial concerns *Liaison with services, family members, caregivers and retirement communities. Paul continues to create and seek new opportunities allowing his clients even more solutions in planning their futures. 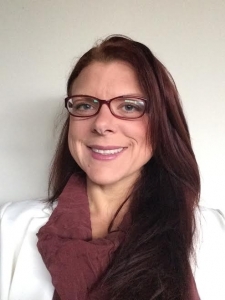 Co-Owner: Pivotal Aging Innovations Inc.
Terri is a high energy, enthusiastic and conscientious career oriented professional with more than 30 years experience in long-term healthcare. A Registered Nurse, she holds a Bachelor of Science in Nursing from the University of Western Ontario and Long Term Care Administrator Certificates from both the Ontario Association of Non-Profit Homes and Services for Seniors (OANHSS) and the Ontario Long Term Care Association (OLTCA). 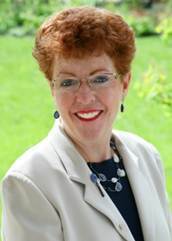 Prior to her retirement in 2012, Terri held the position of Administrator of McCormick Home, (London, ON) a charitable, not-for-profit long-term care home of 160 beds with a community outreach program, Alzheimer Outreach Services, under the governance of the WCA of London from 1991 to 2012, having tenure since 1984. Since that time, Terri continues to a proud member of Accreditation Canada’s national survey team in the long-term care field since 2008 and has been engaged as a Clinical Instructor for the Arthur Labatt Faculty of Nursing, Western University, Compressed Time Frame BScN Program since 2012. In addition, she has also become involved as a Consultant to other long term care homes and community agencies assisting with; Accreditation Survey preparation, External Reviews, Quality Management Programs, RQI Ministry readiness, Adverse Event reviews and other projects as requested. Nick Pitt has spent the past 25 years owning and operating a number of public and private companies in the publishing and communications industries, with an emphasis on branding, start-ups and turning around failing properties. He established Warwick Publishing Inc. in 1991, taking it public in 1997 and selling the company in 2008. With more than 300 titles in print, Warwick was among the larger independent Canadian Publishing houses. In addition, he founded Warwick Magazines, which established or turned around numerous Canadian consumer magazines, and created a production company that specialized in publications packaging for corporate clients in Canada, the US and the UK. Pitt has represented the Government of Canada on more than a dozen trade missions abroad. After divesting his publishing interests in 2010, he has turned his focus to establishing a strong, stand alone communications consultancy, where he works closely with various interesting start-ups to establish brand viability and communications strategy. Jana is a Registered Nurse licensed by the College of Nurses of Ontario and has spent more than 20 years working in the health care field as a frontline nurse, unit manager, patient relations consultant, legal nurse consultant and a practicum instructor for the University of Ontario, Faculty of Health Sciences. Jana holds a Bachelor of Science in Nursing degree from Ryerson University in Toronto, Ontario and a Masters in Business Administration from Charles Sturt University in Wagga Wagga, NSW Australia. She is a member of the Registered Nurses Association of Ontario and is President of the Independent Practicing Nurses Interest Group. In 2013 Jana founded Integrity Healthcare Consultants (IHC), one of the first Canadian companies to assist patients with healthcare navigation, education and advocacy. Her additional experience as an independent Legal Nurse Consultant, provides her with an additional level of skills when assisting her clients through often overwhelming medical administration. Jana’s compassion, and genuine concern for her client’s wellbeing shines brightly in everything she does and Pivotal is honored to have her on our team. Dr Jennifer Irwin, PhD, CPCC, PCC and Dr Don Morrow, PhD, CPCC, PCC both are award winning teachers, certified professional coaches trained and accredited with both the Coaches Training Institute and the International Coach Federation, and experienced, competent Motivational Interviewing (MI) workshop facilitators. They are also university professors, widely published authors, and proficient presenters. Dr. Irwin is a health behaviorist and Dr. Morrow holds his PhD in the health sciences and together, they bring over 40 years of combined, professional experience. Both are Professors at Western University, London, ON. Dr. van Wyk’s research interests include person-environment fit required to enable an older adult to remain living at home, cognitive reserve, increasing the quality of life among the increased quantity of life, caregiver burden, education in geriatrics, and rehabilitation interventions. Older adults are essentially a “special population”. Dr. van Wyk also has research interests focused on improving the quality of care, quality of life and enabling physical abilities of individuals who may be considered a “special population”. In addition to older adults, this includes individuals with Down Syndrome, Cerebral Palsy, Parkinson’s and an Autism Spectrum Disorder, to name a few. Forming relationships with families, clients and community partners; promoting quality service provisions through strong leadership to service teams. Developing, maintaining and strengthening partnerships to better service senior client base. In 2012 recognized as a bright and energetic ambassador for the company receiving Leadership award. A respected public speaker, coach and strong networker both within the company as well as in the community with a strong knowledge base of seniors and senior services. Certified PAC Consultant (Teepa Snow), Certified Dementia Practitioner and president and Director of Operations of: ‘New Dementians Professional Homecare’. She is a registered nursing professional in the province of Ontario and has over 20 years of front line healthcare experience. She leads a dynamic team of healthcare and home care experts dedicated to one thing-making a positive impact in the lives of Seniors and their loved ones. Rather than focusing on “tasks” like most other home care companies, Dawn and her team focus on “caring” and bringing as much joy as possible to the lives of each and every client, everyday. Dawn has served in a number of different capacities over the years and has a wealth of experience in acute care, long term care, psychiatric care, home care, rehabilitation and palliative care. Her greatest passion, however, is caring for clients with Alzheimer’s and other Dementias. She has a deep and unique understanding of the disease that allows her to connect with her clients and their families in a very special way. She has built and managed world class dementia care units at the institutional level and now brings that knowledge, insight and experience to the local homecare market., Dawn is also a Certified First Aid and CPR Instructor. She is also an expert in wound care, patient handling, slips, trips and falls and infection control. Dawn lives in Collingwood and serves clients in Simcoe and Grey Bruce. Joan Cass, B.A. (Hons. ), MSW, RSW, QMed (candidate). After 30+ years working as a medical social worker in hospitals providing patient/family-focused care, passionately advocating for the “right thing”, and colouring outside the lines, I decided to serve clients as an independent practitioner so that all my efforts can be focused on meeting the needs of my clients. Having obtained my Certificate in Dispute Resolution and completed my Advanced Certificate in Dispute Resolution from York University, I am eligible to apply for my “Qualified Mediator” designation. I have been enjoying working with Essential Conversations Project® as a Designated Facilitator™ and a Master Coach (in training), assisting families with sharing and hearing each other’s perspectives so that they may successfully move through the transitions that come with aging. More important than degrees, certificates and designations, I bring many years of experience accompanying people in challenging transitions, including caring for my own parents, along with my siblings, through both physical illnesses and dementias (Alzheimer’s, Dementia and Vascular Dementia). Now I am excited to begin working with participants and their families implementing AMM™ with love, humour, and fun! I live in downtown Toronto and am available to serve clients in the GTA. Barbie Corp: RN, CPMHN, GNC. As a Registered Nurse in good standing with the College of Nurses of Ontario she is certified in Psychiatric Mental Health Nursing as well as in Gerontological Nursing through the Canadian Nurses Association. Barbie has been a passionate care provider and advocate for more than 35 years ranging in roles from Health Care Aide, Registered Nurse to Nurse Specialist. Barbie is also a certified PAC Approved Dementia Consultant, providing and ensuring a better quality of life for our loved ones with dementia. As a certified instructor of Non Violent Crisis Intervention through the Crisis Prevention Institute she has trained staff in hospital settings in verbal and physical de-escalation techniques. Barbie’s role as an instructor of the Gentle Persuasive Approach (GPA) to Dementia Care enriched the lives of not only the seniors in our health system, but also those caring for them. Barbie is P.I.E.C.E.S. trained as well as trained in Dementiability-The Montessori Way. As a previous Psychogeriatric Nurse Specialist Barbie ensured high standards of culturally competent care for a wide variety of patients with diverse needs. Barbie has provided consultation to colleagues regarding medication (following the guidelines in the BEERS Criteria for Potentially Inappropriate Medications), risk management and safety as well as plans of care. As a former educator Barbie educated family’s and patients through the Cardiac Rehabilitation (Stress and Depression) program. Barbie has developed curriculum and facilitated groups for cognitively intact seniors in the City of Kawartha Lakes. Barbie strongly believes in providing a better quality of life for those we love as they travel along this journey known as dementia. She has and is willing to provide cognitive testing, and guidance as seniors navigate the health care system. Barbie services The Kawarthas and surrounding area. Celia McDougall Sociology (B.A.) is a hard-working and passionate professional with over 35 years of experience in serving the senior community and healthcare. Celia currently works with individuals of varying cognitive abilities at Warden Woods Centre as a recreationist developing, designing and facilitating programs that promote health and wellness. Living out a legacy of compassionate, loving care for seniors set by her parents, Roy and Doris McDougall (founders, Owners, and operators of a LTC facility for 50+ years), Celia has had the passion for taking care of others since childhood. Along with being a Branksome Hall alumni and obtaining her degree from Windsor University, she also has a diploma in Recreation and Leisure, U-First Alzheimer’s training, Sam Steps: Fitness for Seniors Training and is a certified AMM Allied Professional. With her experience in long-term care, retirement and community settings, she realizes that the best results come from treatment where the integration of laughter, fun and a loving environment are present. Meaningful, stimulating recreational activity is vital for the mental health of this demographic. As she has had the pleasure of taking care of both of her parents at home, she is very excited to have the opportunity to assist families in improving the quality of life of their loved ones. Please contact Celia for all of your East GTA needs. Eileen Fortin B.Sc. (Psychology – University of Toronto) is a committed professional who has worked from a client centered and motivational perspective to assist clients achieve their goals. She is a dedicated individual with proven experience who has worked independently and collaboratively, assisting with the re-integration of clients with traumatic brain injury (TBI) back into their community. She also possesses a Diploma in Career and Work Counselling (George Brown College), and a Graduate Certificate in Mediation/Alternative Dispute Resolution (Durham College). She has a special interest in Elder Mediation and is trained in The Montessori Way for clients with dementia. Eileen is also trained as an Essential Conversations Project facilitator, whose focus is on guiding families through the process of making plans for retirement, estate planning, caregiving, and other life transition issues. Considered reliable and trustworthy in sensitive situations requiring diplomacy and confidentiality, she is knowledgeable of the issues and concerns that arise with elder care. Eileen lives in Whitby, and is available to clients living in Whitby, Oshawa, Ajax, Pickering and Brooklin. Resource for legal matters relating to health. 70 or 90, is there a difference?